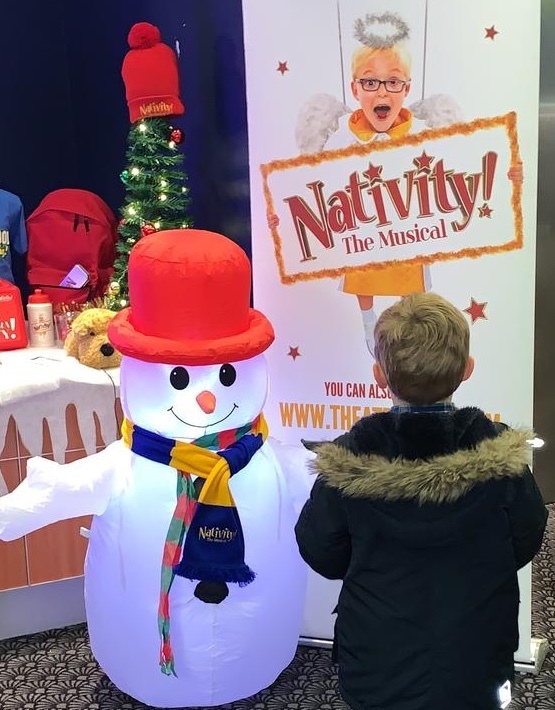 Review – “NATIVITY! THE MUSICAL” Tour – Regent Theatre, Stoke-on-Trent. I know I keep saying it but there’s no escaping it now – Christmas is well and truly on its way! 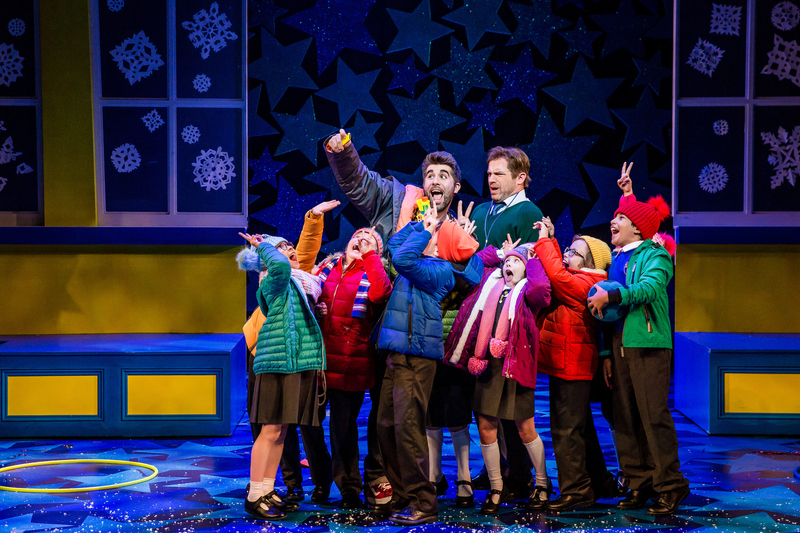 My children spent most of the weekend asking “Alexa” to play Christmas songs and Bean, my seven year old, has had the DVD of his favourite Christmas movie, Nativity, pretty much on repeat in preparation for his visit to the Regent Theatre, Stoke-on-Trent last night to see the smash-hit film brought to life on stage. Unfortunately I have been very unwell, so ‘Typical Daddy’ stepped in to accompany him, and I must admit I was more than a little bit jealous. 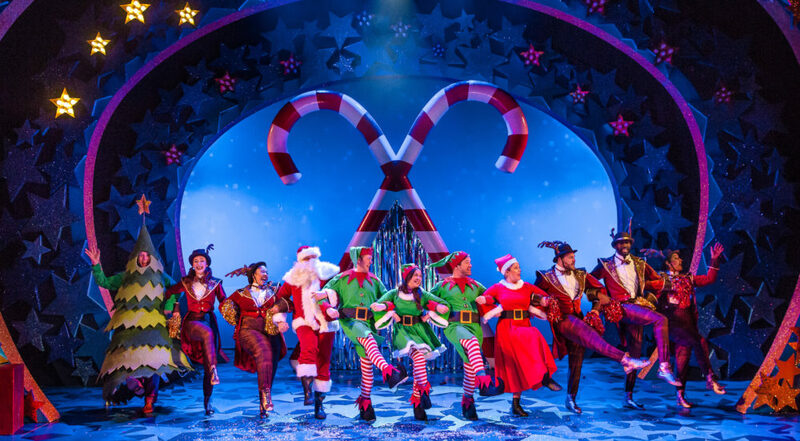 The joyous, hilarious and often moving script of the much-loved movie is a real festive treat for all the family, so with it being adapted for the stage and directed by Debbie Isitt, the creator of the film, it certainly promised to be a great night out. Image courtesy of The Regent Theatre. 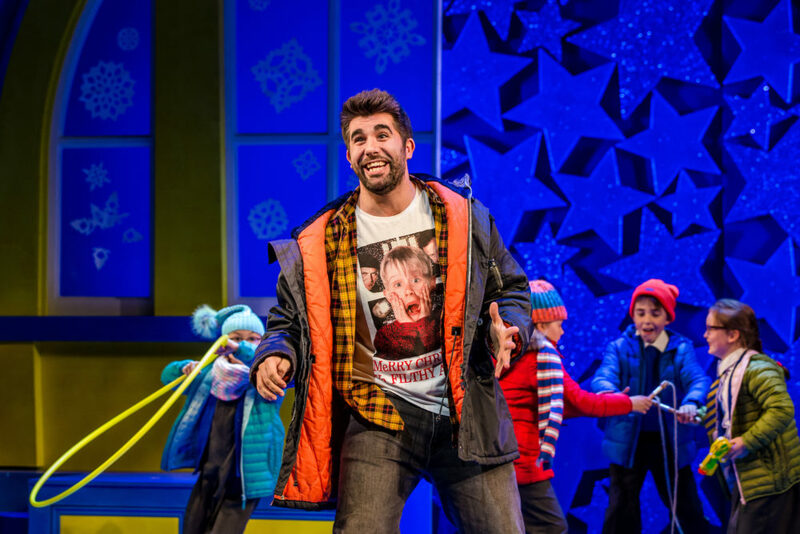 Simon Lipkin – Image courtesy of The Regent Theatre. As in the movie, Mr Maddens, teacher at St Bernadette’s School, and his farcical teaching assistant, Mr Poppy, are attempting (and struggling!) to pull off a musical version of the nativity in the hope that a Hollywood producer will visit and turn it into a movie (as promised by a desperate Mr. Maddens when faced with his rival from the local private school, the aptly named Mr. Shakespeare). Featuring the catchy, sing-along songs from the smash-hit film, “colourful, elaborate and glitzy” sets & costumes, and even unplanned moments of hilarious improvisation, it really does sound like it was a fabulous experience for both children and adults alike. According to Bean, Simon Lipkin as Mr. Poppy was “sooooooo funny” and Daddy was impressed that there were lots of up-to-date jokes to keep the adults amused too, describing the comedy as “spot on for kids and adults alike!” The child actors, many of them local to the area, were “hilarious, naturally talented and superbly directed,” the choreography and dancing was “awesome” and Bean was apparently enthralled from start to finish. I can’t wait to hear what his teachers say when he asks them why they aren’t allowing him and his peers to fly across the stage attached to harnesses in his school nativity this year! With Daddy’s verdict of “An energetic, glitzy, fun-filled, non-stop, spectacular of an evening,” a standing ovation from the audience, and with 10 gold stars awarded by Bean (high praise indeed!) it really does sound like I missed an absolute treat! Nativity! The Musical runs at The Regent until this Saturday, 8th December (2:30pm & 7pm). Get your tickets from the Regent Theatre Box Office counter, by calling 0844 871 7649, or by visiting the website. It then heads to Oxford, before finishing 2018 at the Apollo, Hammersmith. Go!! You won’t regret it! Disclosure: We were given 2 tickets to see “Nativity! The Musical” in exchange for an honest review. All thoughts are our own. Review – “ROBIN HOOD” – The Regent Theatre Pantomime, Stoke-on-Trent. Aw what a shame you were poorly. sounds like a lot of fun though. my son loves the film! Thanks so much for linking up at #KCACOLS. Hope you come back again next time.